Athens, Ga. – Microf, based in Albany and Roswell, Georgia, was recognized as the No. 10 fastest-growing business owned or operated by a University of Georgia graduate during the 2018 Bulldog 100 Celebration Jan. 27 at the Hyatt Regency in Atlanta. Microf, founded by ‘00 UGA graduate Mitch Masters, and ’02 UGA graduate, Jay Kimbro, specializes in providing residential lease-to-own products for the heating, ventilation and air conditioning (HVAC) industry. “It is an honor to be ranked as a top company amongst some of the best in our country. This award is a testament to the diligent work our entire Microf team delivers every day. We are so grateful for what we have built and continue to set our goals with the focus of bringing efficiencies through technology and data to our OEM, Distributor and Contractor network,” said Mitch Masters, CEO. Warren Averett CPAs and Advisors partnered with the UGA Alumni Association to review nominated business’ financial records to determine the ranked list. Each organization must have been in business for at least five years, experienced revenues in excess of $100,000 for the calendar year 2014, and be owned or operated by a former UGA student who either owns at least 50 percent of the company or is the CEO, president or managing partner. The Bulldog 100 recognizes the fastest-growing businesses regardless of size by focusing on a three-year compounded annual growth rate. Nominations for the 2018 Bulldog 100 were accepted between February and May 2017. This year’s list featured 101 businesses, with a tie for No. 45. This year’s keynote speaker was Amy Smilovic (ABJ ’89), founder and creative director of women’s clothing and accessories company, Tibi. The renowned lifestyle brand has been featured everywhere from New York Times fashion photographer, the late Bill Cunningham’s “On the Street” column, to Vogue France. The 2018 fastest-growing business is Saucehouse BBQ, co-founded by Christopher Belk, who earned his bachelor’s degree in political science in 2005 and his MBA in 2013. The restaurant and catering company is based in Athens, and was started by Belk and his co-founder to draw attention to regional differences in barbecue. Customers are offered a variety of sauces for their slow-smoked meats and homemade sides. Saucehouse is open for breakfast, lunch and dinner, offers catering services and is a sought-after event space. 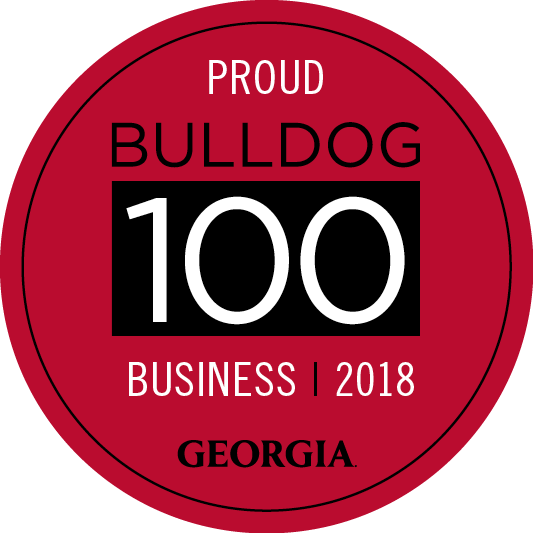 To view the 2018 Bulldog 100 list, photos from the event or nominate a business for the 2019 Bulldog 100, see www.alumni.uga.edu/b100. Nominations are being accepted through May 31, 2018. Microf was established in 2010 to accommodate the growing demand for more flexible options surrounding the replacement of residential Heating/Cooling systems. Microf provides competitive and convenient rent-to-own/lease solutions for residential HVAC systems in the U.S. through a network of preferred HVAC distributors and contractors. For additional information on the benefits of Microf, please visit www.microf.com.